Every year, there is a kitten season. ​This season, we're not kitten around. 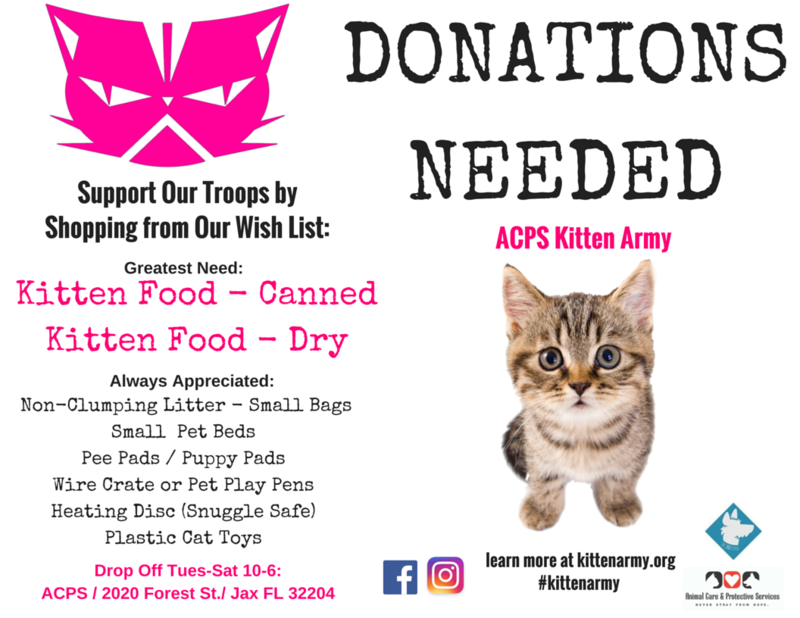 The Jacksonville Kitten Army is a program designed for shelter, rescue groups, and citizens in Jacksonville, Florida. Kitten Army provides free education and support for anyone caring for neonatal kittens. You can join the mission by fostering or volunteering with Kitten Army. We are proudly supported by The Jed Fund, a Jacksonville-based 501c3.